Liven up your room with these tray designs. 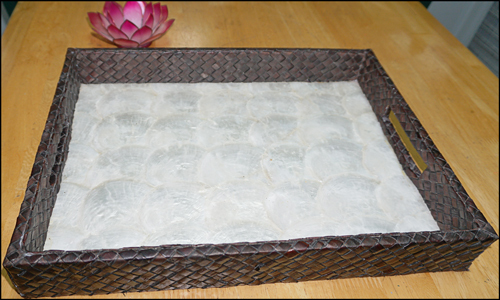 Our hand woven trays made of capiz shells & seashells will bring an element of nature into your home. These woven trays are just such a cute addition to your tables or rooms. Purely made from the different materials in the Philippines like bamboo, raffia, abaca, capiz shells and any materials made from Philippines. 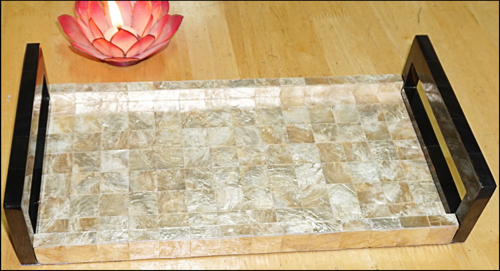 Trays can be used in many ways, it may used as serving meal, display delicate bud vases, small potted plants and many more. Our trays has a wide variety forms and designs like tray container in a jar design, tray tissue container, tray plate and bowl container. Orders customization are very welcome.